/Enterprise Integrations /Manage Users & Roles /How to Use Mangoapps As an Saml Provider? 2. 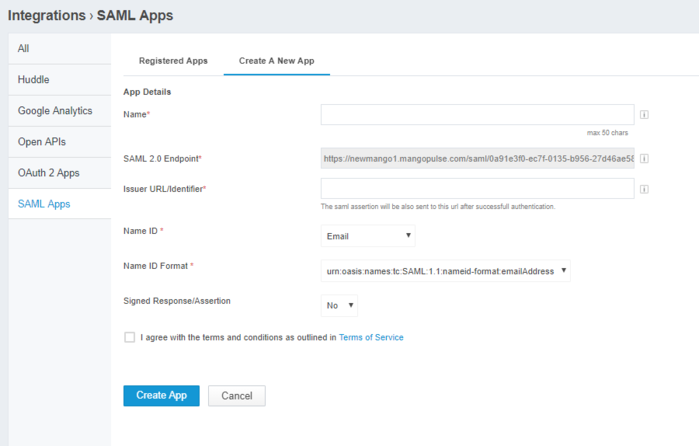 Navigate to Integration > SAML Apps.